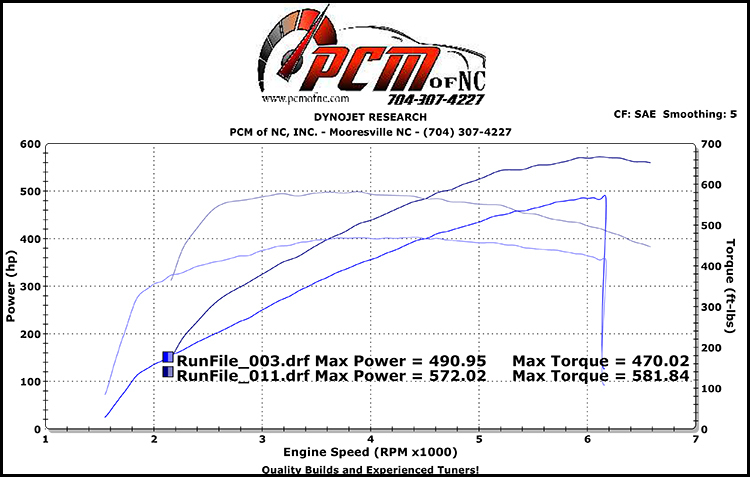 2014 CTS-V Performance Package Stage 2.5 – PCM of NC, Inc. 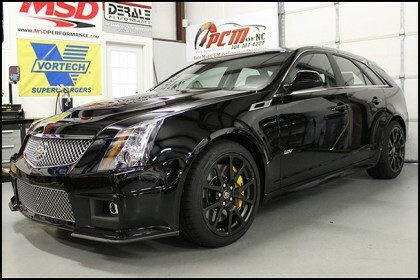 While this customer knew that his CTS was a really quick ride right out of the box, eventually he was wanting more. 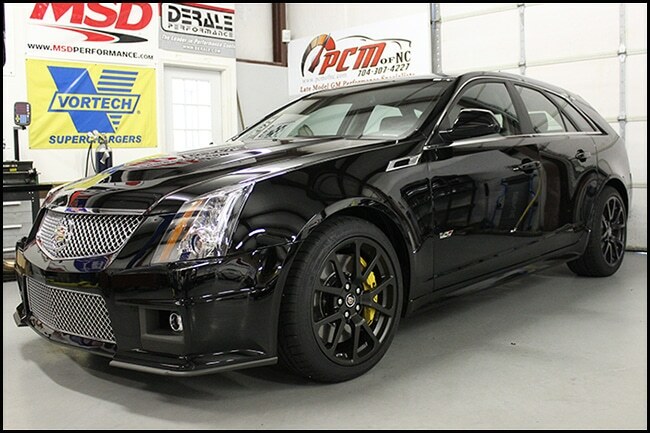 He was looking to add more power and get up and go without compromising driveability, so we went with our Stage 2.5 CTS-V Package. 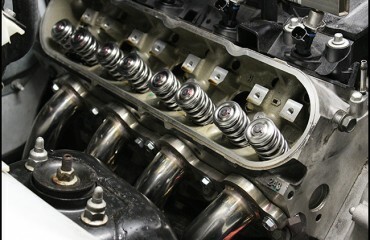 This includes a cold air intake, Kooks 1 7/8″ Headers with cats, and adding boost back with a larger lower pulley utilizing Lingenfelter’s balancer kit. 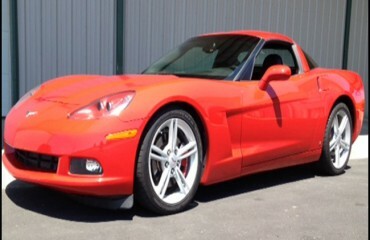 Our baseline dyno showed the car at 490rwhp and 470 ft/lbs tq, pretty typical numbers for a manual CTS in the summer time. 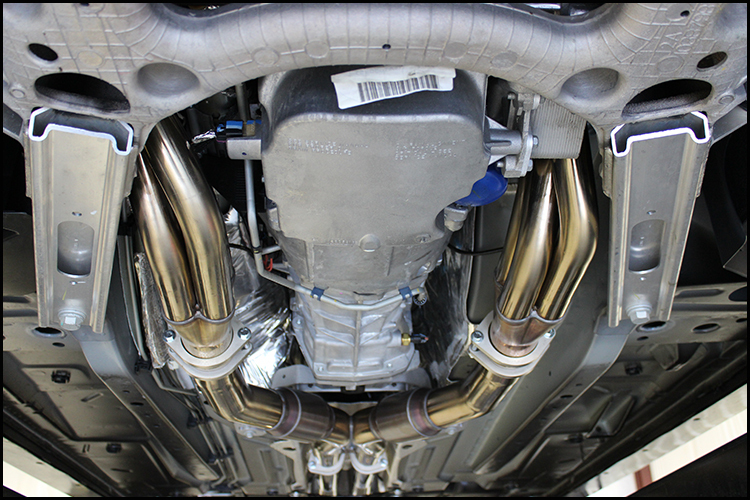 With our additions and a modest 12lbs of boost, we ended up at 572 rwhp & 581 ft/lbs tq, making a gain of 82rwhp & 111 ft/lbts of tq. 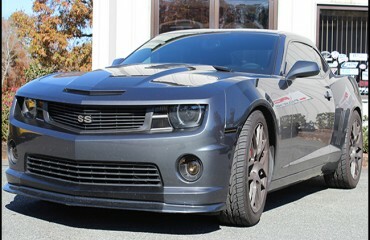 The CTS-V ended up with a better sound and felt a LOT better off the line!